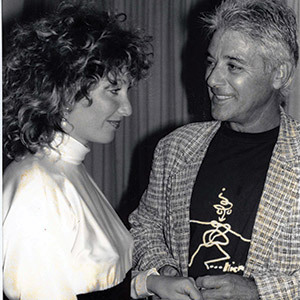 When they married in 1988, Michael Cohen and Suzanne Lerner said their “I dos” dressed in the ultimate union of casual and cool: She wore an ivory-and-black jumpsuit and he, a checkered suit jacket, jeans, and graphic tee. Two years earlier the pair had cofounded Michael Stars, one of the first companies to elevate the T-shirt to fashion statement. Their look combined bold prints and vibrant colors with body-skimming cuts and soft materials. Over time they added dresses, skirts, trousers, jackets, accessories, maternity clothes, and menswear, but the line has kept informal T-shirt dressing at its core. In celebration of the brand’s 30th anniversary and as an homage to Cohen, who died last year, the Hawthorne-based company has reissued some of its original 1986 designs. 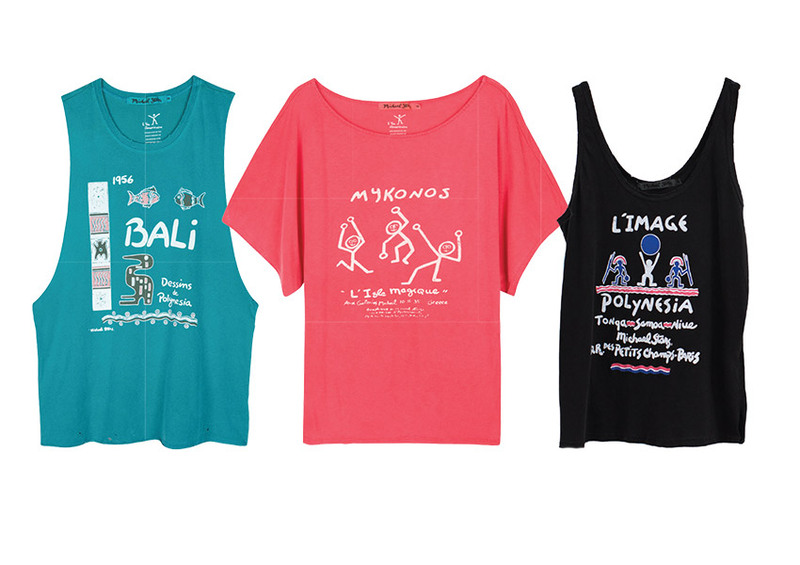 The commemorative “L’ Tee Americaine” collection re-creates in fanciful illustrations the couple’s favorite destinations, including Paris, Cap d’Antibes, Bali, and the island of Mykonos, where they built a second home. She advised him to swap out the sweats for tees. To speed up production, Stars’s graphics would be silk-screened on the shirts, which are still cut and sewn in L.A.